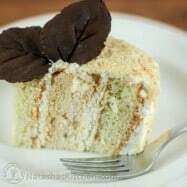 The Ptichye Moloko recipe has been the most popular recipe this month and your comments and suggestions helped me develop this new ptichye moloko cake recipe. 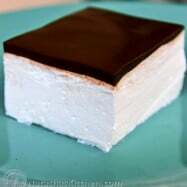 It’s basically the ptichye moloko (mousse) sandwiched between biskvit cake layers with a light syrup and a very simple creme chantilly frosting. I made this ptichye moloko cake for our church banquet and thanksgiving dinner and everyone loved it. I posted loads of pictures. It’s not as complicated as it looks. I hope you enjoy this cake; just in time for Christmas! 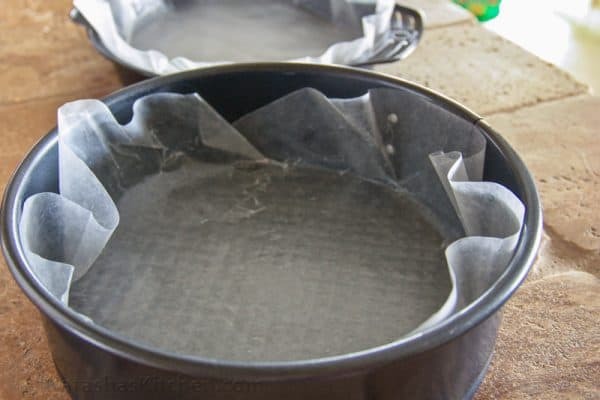 2 round 9-inch cake pans (1 of which should be a springform pan – see below). 1 can Sprite, 7-UP, or LaCroix with 2 Tbsp sugar (what I used). 1. Line 2 non-stick cake pans with parchment paper and preheat the Oven to 350 ˚ F.
2. Separate egg whites from yolks. In a medium bowl, whisk together yolks, sugar and vanilla. Add flour until well blended. 5. 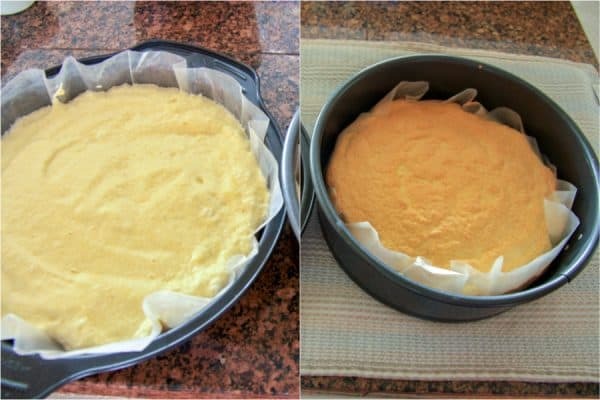 Divide the batter evenly among the two, lined cake pans and bake 20 minutes until the tops are golden. 7. 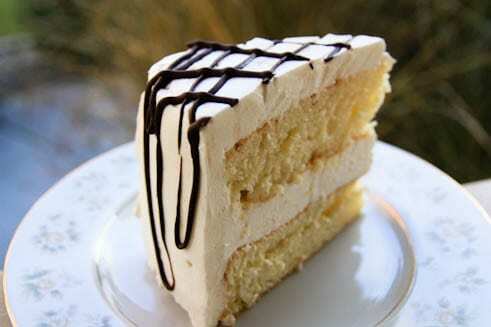 Use a knife to remove rough edges and let cakes cool to room temperature. 8. 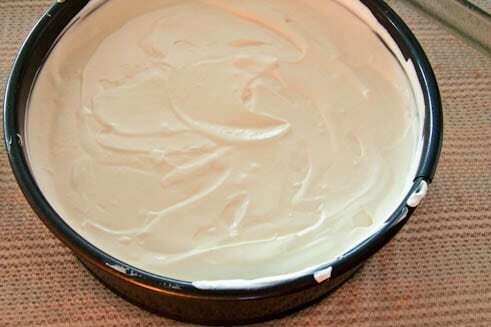 Place on of the cake layers into the bottom of a springform pan and pour 1/2 of your soda/syrup over the cake and let it soak in. (You will pour the ptichye moloko over this layer). 1. In a small sauce pan, combine 1 packets unflavored gelatin with 1/2 cup milk. Whisk together over medium heat. Continue whisking until it just begins to steam, then remove from heat (DON’T BOIL).Set aside to cool. 2. 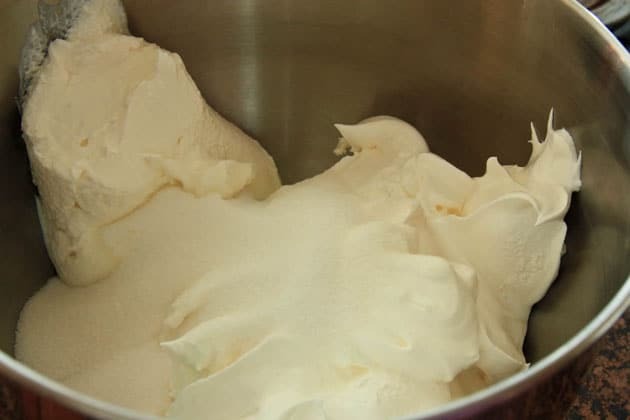 In the bowl of an electric mixer on medium speed whisk together 1/2 cup sugar, 8 oz tub of sour cream and a 8 oz tub of cool whip until well blended. 3. With the mixer on, slowly add the warm milk mixture. 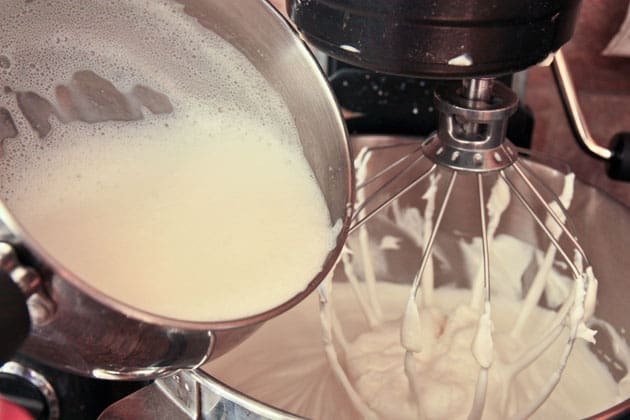 Freeze your mixing bowl and whisk attachment for 10-15 minutes before beating the cream and keep the heavy whipping cream refrigerated until you are ready to use it. 1. 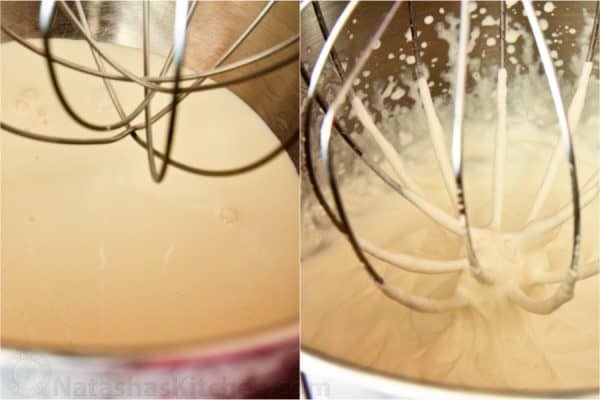 Whip the heavy cream at high speed until it forms soft peaks (1 minute). 2. Add the sifted powdered sugar and vanilla and continue whipping at high speed until the cream forms stiff peaks but is still smooth (about 1 minute). 1. Place the second cake layer over the ptichye moloko and pour the rest of syrup/soda over the cake layer. 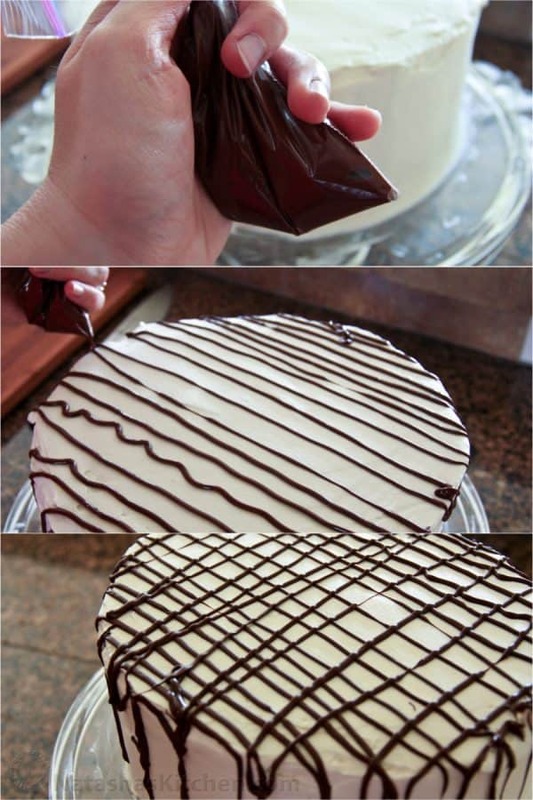 Cut around the edges of the cake to loosen in from the springform pan. 2. 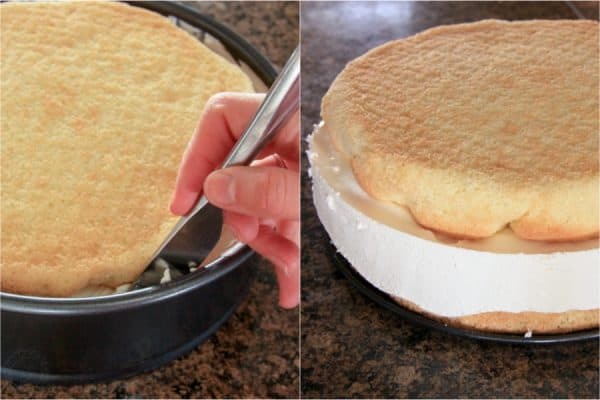 Trim the edges of the ptichye moloko to make it even with the cake layers. 1. In a small saucepan, over low heat, melt 3/4 cup chocolate chips, stirring constantly until smooth. 2. Transfer to a ziploc bag and cut a small hole on the tip. Practice a couple of strips on wax paper so your cake doesn’t end up looking like mine (semi-ugly). Transfer the cake to your favorite cake stand. Refrigerate the cake until ready to serve. I hope you enjoy it! It’s really much easier than it looks. 1 can sprite 7-up, or LaCroix with 2 tbsp sugar (what I used). Line 2 non-stick cake pans with parchment paper and preheat the Oven to 350°F. Separate egg whites from yolks. 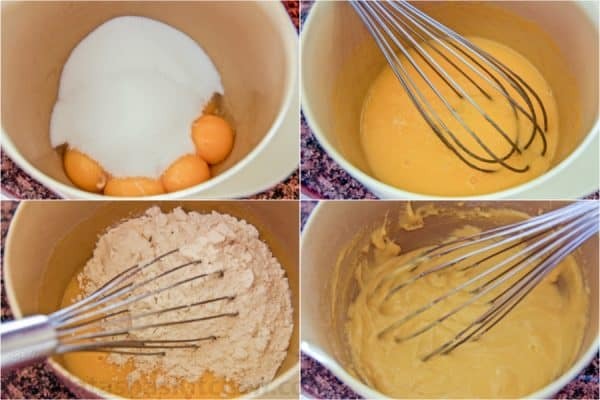 In a medium bowl, whisk together yolks, sugar and vanilla. Add flour until well blended. 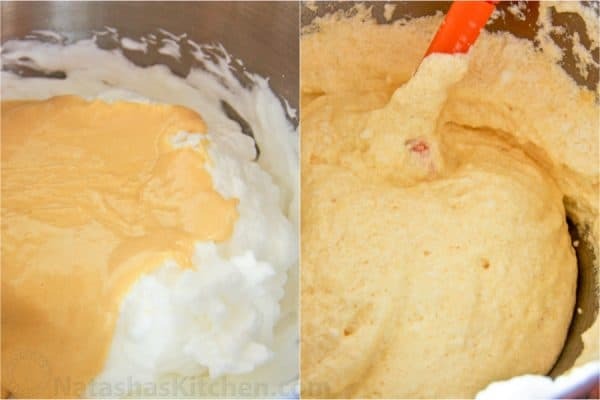 In a large bowl, beat egg whites on high-speed until they foam and are about 3-4 times in volume (about 2 1/2 to 3 minutes). Don’t beat too long or they will become too stiff and won't blend well. Use a spatula to gently fold the yolk mixture into the egg whites until well combined. Don’t mix too much or you will lose volume. The batter should have a fluffy texture. Divide the batter evenly among the two, lined cake pans & bake 20 minutes until the tops are golden. 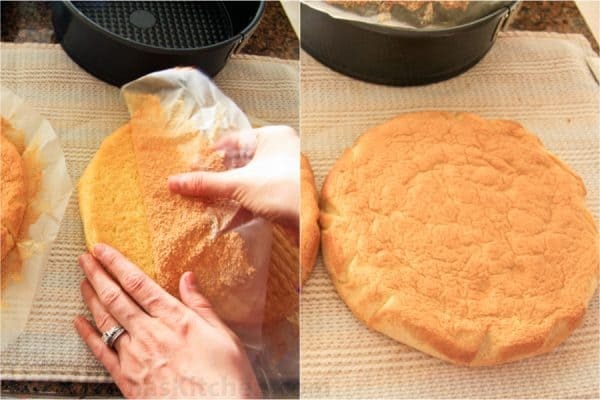 As soon as the cake is done, turn the cake out onto a clean surface and peel off the wax paper. This is much easier to do while the cake is still very warm. Use a knife to remove rough edges. Let cakes cool to room temperature. Place on of the cake layers into the bottom of a springform pan and pour 1/2 of your soda/syrup over the cake and let it soak in. (You will pour the ptichye moloko over this layer). In a small sauce pan, combine 1 packets unflavored gelatin with 1/2 cup milk. 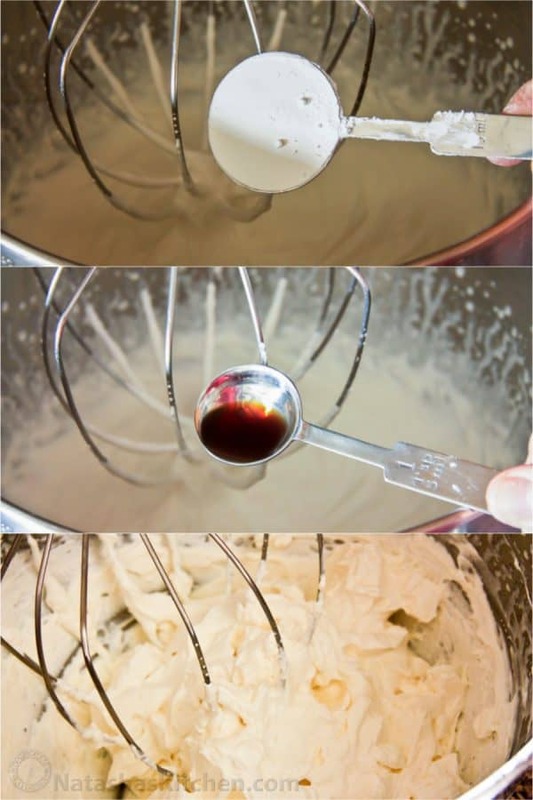 Whisk together over medium heat. Continue whisking until it just begins to steam, then remove from heat (DON'T BOIL).Set aside to cool. 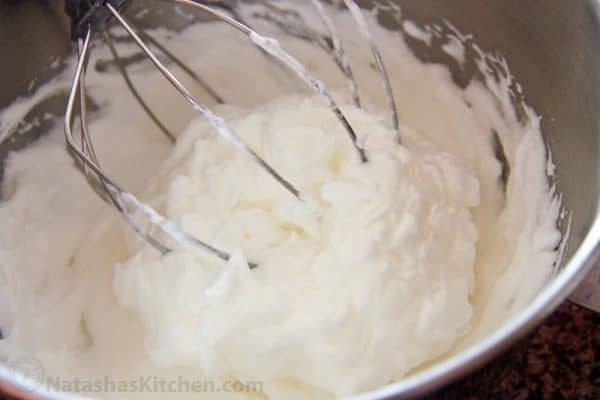 In the bowl of an electric mixer on medium speed whisk together 1/2 cup sugar, 8 oz tub of sour cream and a 8 oz tub of cool whip until well blended. 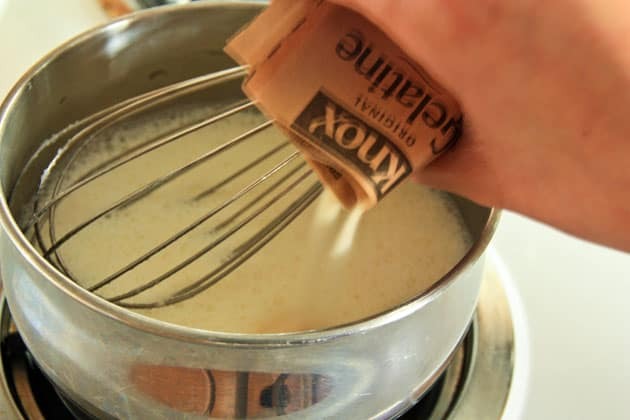 With the mixer on, slowly add the warm milk mixture. Immediately pour over the first biskvit layer inside the prepared baking dish. Smooth the top as evenly as possible. Cover and refrigerate to cool. 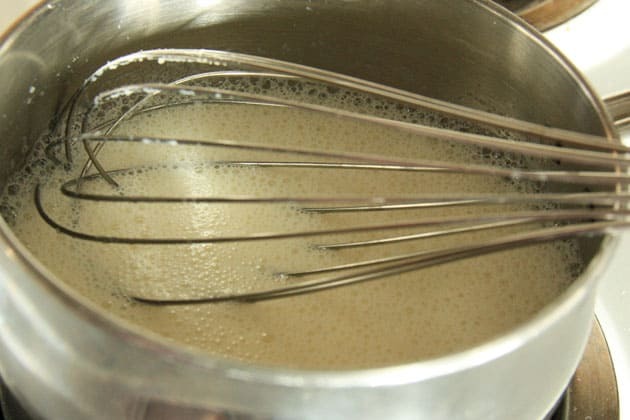 Whip the heavy cream at high speed until it forms soft peaks (1 minute). Add the sifted powdered sugar and vanilla and continue whipping at high speed until the cream forms stiff peaks but is still smooth (about 1 minute). Place the second cake layer over the ptichye moloko and pour the rest of syrup/soda over the cake layer. Cut around the edges of the cake to loosen in from the springform pan. 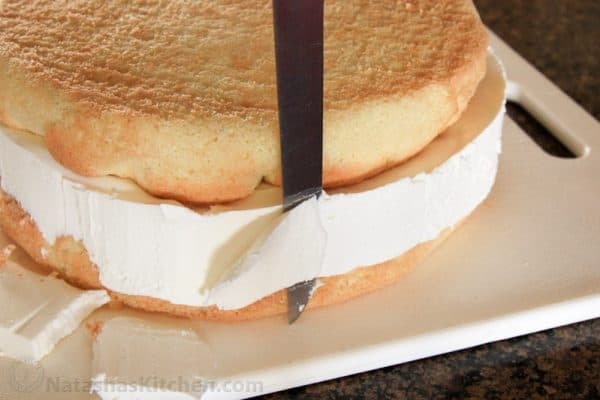 Trim the edges of the ptichye moloko to make it even with the cake layers. 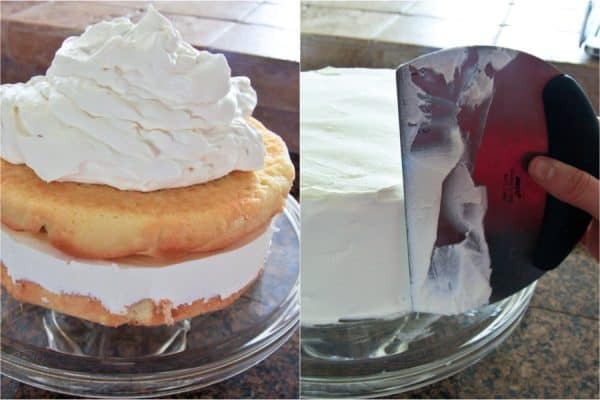 Frost the cake and even it out with a food-scraper. 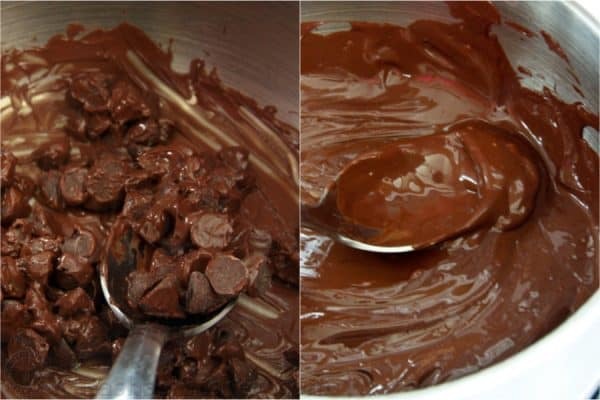 In a small saucepan, over low heat, melt 3/4 cup chocolate chips, stirring constantly until smooth. Transfer to a ziploc bag and cut a small hole on the tip. Practice a couple of strips on wax paper. Transfer the cake to your favorite cake stand. Refrigerate the cake until ready to serve. 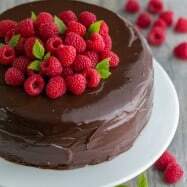 Have made a few cakes using your recipes and they were to die for . Planning to make Ptichie moloko now . Here is my question . Is it important to make the dough using the whole eggs ? 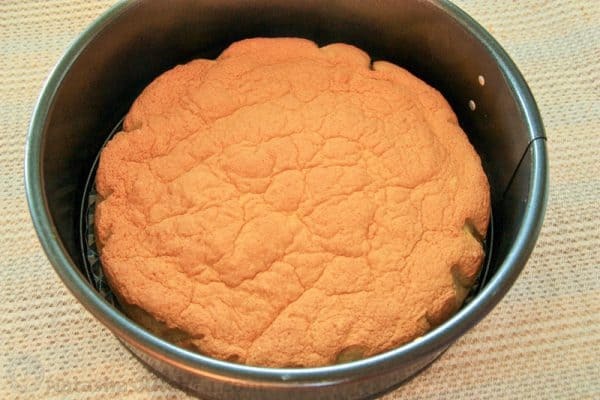 Can it be done using biskvit cake recipe ? 4. Leaving the cake batter on the counter too long before baking. 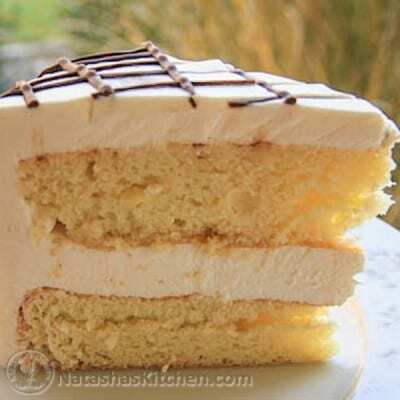 Natasha, thank you for your blog and wonderful recipes. We are originally from Ukraine and looking at the pictures makes me feel nostalgic and happy at the same time. if I use the original recipe portion for gelatin it’ll be 0,5 oz, right? Then I should double the rest of the ingredients (1 cup of milk, etc), too. That means I can bake two cakes and use the doubled portion of the gelatin mixture? Or, can I pour the gelatin mixture over the second cake layer? I have a box with 4 envelopes and the net wt is 1 oz , so how many envelopes do I use out of my small box? Hi Natalia, use 1 envelope. I am in the middle of making this cake and noticed the discrepency between the packet of gelatin. Also what is the weight or amount of the unflavored gelatin packet? I bouth the KNOX brand and it seemed to me that the packet I bought looks smaller then the one that you have in the picture. 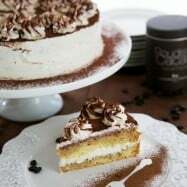 I am in process of making this cake, im justt doing the biskvit today and finish the rest tomorrow. 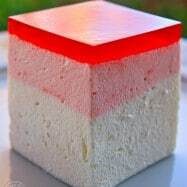 I confused on the ptiche moloko, u wrote in the ingredient as 1 packet of the flavored gelatin but when u actually making it you stated to combine 2 packets of the flavored gelatin, can u please tell how much of the gelatin for this recipe? One more question. How long can the biskvit cakes stay befor finishing the cake? I would like to finish it tomorrow so that its more fresh for Sunday Christmas day. And what is a proper way to keep the cake? in the fridge? or it can be out on the counter for two days? I hope I didn’t confuse you. 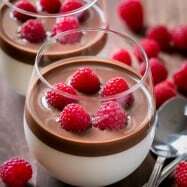 Hi Natasha, I just wanted to let you know that some of the pics aren’t loading on the recipes. I don’t know if its just my computer or if its your website.